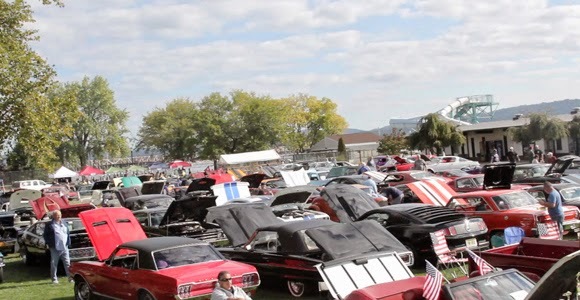 The Neighborhood Cruisers will be hosting their 10th Annual "Cruisin for Kids" Car Show this weekend at North Rockland High School in Thiells, NY. The Car Show raises funds to help alleviate the financial hardships that come with having a child who has special needs. This year, the Cruisers have selected three families to be the recipients of this year's fundraiser. For more information on the families, click here. 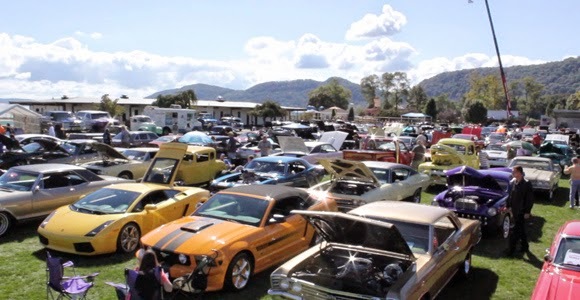 The annual car show features live bands, local vendors who've supported the Neighborhood Cruiser's efforts, and of course, classic cars from yesterday and today. There's a 50/50 raffle, a DJ, and tons of fun stuff for kids to do. Most importantly, all the funds go towards a good cause. Attending the car show? Click here to tell your friends on Facebook! The Neighborhood Cruisers are a 501(c)3 non -profit organization whose primary goals is the betterment and protection of the community. The organization aids children and adults who are enduring financial and medical hardships. Jacob & Josh Czaikowski – Nanuet - Jacob is 6 1⁄2 years old and Josh is 4. Both brothers have had disabilities from infancy. They were fed with a feeding tube due to being allergic to most formulas. They duffered through ongoing seizures, a brain bleed, blood issues and a stroke. Josh, in addition, has a low form of spinal bifida. Both boys have a tough time with their medical issues and require many medications and have varying special needs. Here's the article featured on LoHud.com today! STONY POINT — Evan Sugrue smiled as he sat in the driver's seat of a 1936 Chevrolet truck at Monday's cruising night event, during which members of the Neighborhood Cruisers showed off their classic cars. 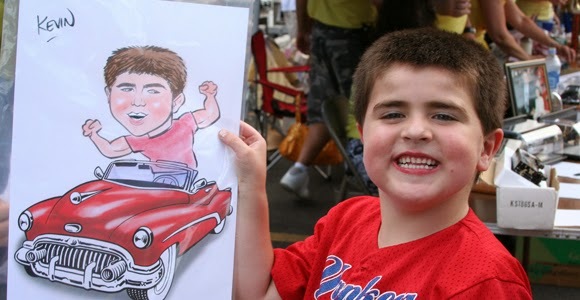 The 9-year-old, who was diagnosed with cerebral palsy when he was 15 months old and uses a wheelchair, is one of the recipients of the proceeds of the 10th annual Cruisin' For Kids, the group's fundraising event to benefit children with extreme medical needs. As the nonprofit gears up for this year's event set for Aug. 6, members invited recipients of the proceeds to their cruising night at Gennaro's Restaurant. Evan's mother, Elena Sugrue of Monsey, said she was surprised when the nonprofit informed her of selecting Evan as a benefit recipient. "I'm so grateful. I couldn't even believe when I heard it," Elena Sugrue said, noting the money would help her and her husband, Carl, pay for the cost of Evan's new equipment as well as extra physical therapy that is not covered by the family's insurance. 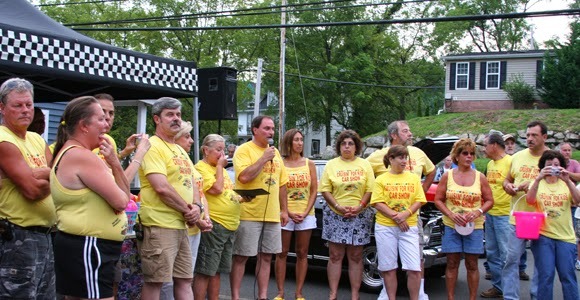 Bob DuBois, president of the Neighborhood Cruisers, said a little more than a decade ago, as members gathered for their weekly cruising night, they discussed doing something to give back to the community, and Cruisin' For Kids was born. "It's a labor of love. Lots of work," DuBois said of the event. "But we enjoy doing it, helping out families that are in need." Donations from local businesses, car show registration fees and the sale of raffle tickets have been the major ways to raise money, DuBois said. Last year, each recipient was awarded $8,000 from the event, he added. Another recipient of this year's benefit is Tyler Tobin, 5, of Orangeburg, who had a bone marrow transplant to treat a rare, life-threatening blood disease. Six-year-old Jacob and 4-year-old Josh Czaikowski of Nanuet, who suffer from hydrocephalus, are also this year's recipients. During the cruising night, the brothers kept their parents' hands full as they got excited about the classic cars lined up in the restaurant's parking lot. Stephen Czaikowski, Jacob and Josh's father, said he and his wife, Jennifer, were constantly worried about their sons because they could suffer another seizure. As he watched children enjoying his 1936 Chevy truck, DuBois said he and other members of the organization continue their effort because they see it is making a difference, even if it's small. A couple of years ago, DuBois said, members came up with a slogan that summed up their attitude: "I'm a neighborhood cruiser. It feels good to give." Elena Sugrue, who is originally from Long Island and moved to Rockland about a decade ago, said she's got the message. "Everybody here is just so nice. It has such a small-town feel," she said. "It really makes you have a renewed faith in people." Click here to download a copy of the 2016 Cruisin for Kids Car Registration Form. Click here to download a copy of the 2017 Cruisin for Kids Car Registration Form.